Hydro. 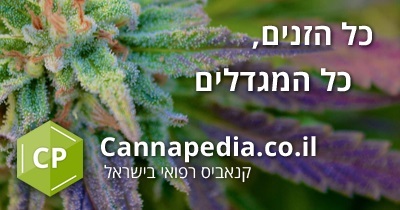 A seemingly dull agricultural word that conjures a mischievous smile on the faces of Cannabis consumers when they recall the taste, the intoxicating smell, and the powerful influence of cannabis of this kind. When consumer Cannabis notes that the flower in his hands is 'hydro', he usually means that his quality is high and his influence is strong. But why 'Hydro' is good, and in general - what do you mean when you say "Hydro"? 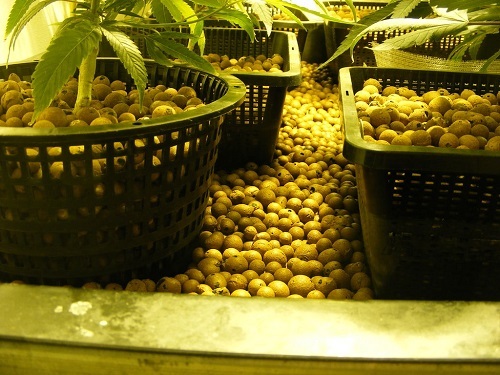 Hydro is derived from the word Hydroponics; An ancient method of growth on the one hand, but innovative, technological and advanced, on the other hand, which allows interpretation Maximize the plant's genetic potential, And hastens its growth and production Made of high quality and more As opposed to traditional cultivation in the soil. 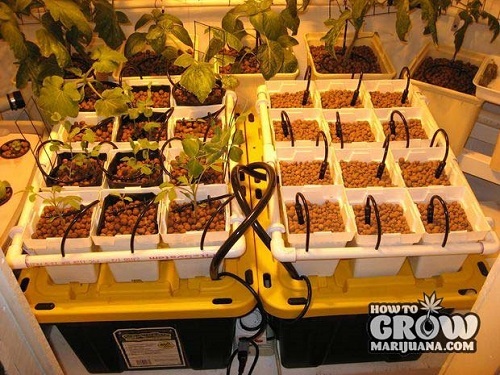 The hydroponics method, originally intended at all For independent cultivation of food, Broke into public consciousness precisely through cannabis: the fact that the method Based on water instead of soil And can be almost completely automated, has made the system ideal for discreet growth in the home - essential for cannabis growers. 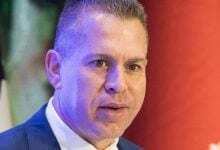 So how to grow without land? The plant, like all plants in nature, receives all its needs from essential elements in its environment: the soil provides it with a firm grip and stability, as well as minerals and micro nutrients. The sun and the open air provide it with the light and carbon dioxide required for the photosynthesis process. The rains provide the ions that turn the food into soil And all these together allow the plant to grow and blossom according to the seasons, genetics and the environment available to it. Hydropower enables virtually anyone who wishes to do so, to transfer the natural environment of the plant into the house, without soil, without sun and without rain. how? It is precisely for this purpose that this guide, which is supposed to help you better understand the method, was written - apart from its great use in the cannabis world, it is also expected to change the future of agriculture and food. In contrast to theCannabis growth is normal, Hydroponics is a breeding method In a detached and neutral platform, In which the plant feeds on the exact elements and minerals it needs SOLID HYDROPONIC FERTILIZER SOLUTION Which mix in a relatively small amount of water. Hydroponic growth requires accurate maintenance to maximize results, but for those who understand the hydroponic principle and plant needs, it is an easy and friendly task. Significant savings in water compared to soil growth - up to 99% savings! Rapid growth - All plant nutrition is available for use in water, and all its energy is directed to growth and growth processes - which speeds up growth. More Crop - Up to 30% more As opposed to an increase in soil. Fertilizer savings - The plant does not share the minerals it needs with herbs and other plants in its vicinity. Automatic - You can create a completely automatic growth system that does not require human intervention. Less harmful - The fact that the plant grows in a detached platform significantly reduces the risk of pests originating from the soil. The "seasons" experienced by the plant can be extended by controlling the water temperature. Due to the technological value, the initial construction cost is relatively expensive compared to the growth in the soil. For the most part, a number of plants share one hydroponic system, and in the case of an illness in water all the plants together are exposed to it. In the case of a long power failure (6 + hours) the plants will stop receiving the water, their roots will dry and they will begin to wither. The method requires preliminary learning and a thorough understanding of the plant's needs before the start of the tumor. 1. Emptying and flooding - Easy to understand and implement, cyclical and cost effective. The principle of flooding and emptiness in fact explains its simple way of working: outside the facility where the plants are located, the nutritional solution (water + fertilizer), which once every few minutes floods the plant and the roots of the plants, quickly empties back. 2. DWC - Deep Water Culture - an advanced and very simple hydroponic method for application at home, at the base of which is the principle that plant roots are actually "half sitting" in the water that is enriched regularly, when Air pump וOxygen stone Provide the roots with the oxygen they need in order not to rot and fall ill (by leaving them in the water). This is a very popular method among cannabis growers because of the simple application and the excellent results it produces. 3. NFT - Nutrient Film Technique - a highly progressive and cyclical hydroponic growth method, in which a thin film of water enriched with fertilizer flows from the reservoir to the tubes where the plants sit and directly provides the roots with their nutritional needs. Once the water has passed through all the pipes, they return directly to the reservoir. Therefore, an increase in the NFT method does not require the addition of oxygen, since the movement of water takes care of it. 4. 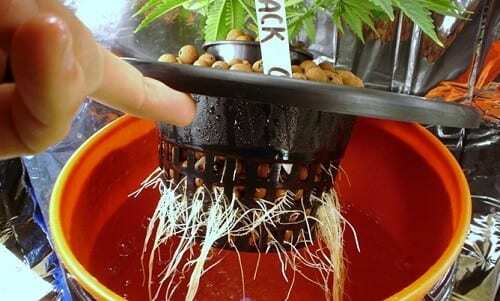 Droppers - a hydroponic growth method that is considered to be relatively outdated compared to other technological methods, but whose efficiency is not in doubt. In this breeding method, the enriched water that flows from the reservoir separates into upper tubes, or actually "personal droplets," which drip the nutritional solution directly onto the roots of the plants, with all the residues returning to the reservoir. 5. Europea - the European method (invented in Israel, honor) roots plants Sitting in the air And all that keeps them in this cup of growth with the substrate. In the European system, small drops of water form direct contact with the roots of plants that hang in the air, thus making the food available and rapidly disintegrating. Despite the air hiding in the name of the system, it is a hydroponic method that actually takes the hydroponic growth a step further towards efficiency and progress. In selecting the appropriate system, it is important to understand That there is no 'right' or 'wrong' - All hydroponic growth methods work, and each system has its own advantages and disadvantages that may make it easier or harder for each tower. When we make the choice that will later influence the selection of the suitable substrate and lighting, we must base this on Physical conditions Of the designated habitat such as: size, exposure to wind, sun / lighting, temperature changes and more. Since hydroponics removed the soil from the equation, we should use a neutral growth platform, Lack of nutritional value For plants. The need for the growth platform varies according to the hydroponic system in which we grow, but usually it has two main aspects: 1. giving Sticking to the roots And plant stability, 2. giving Airy Which will help absorb essential oxygen in the root area, thereby preventing rot. Hydrotron - Clay balls that have been widened and hardened into a circular shape full of pores. The pores in the pills actually expand the surface area of ​​the substrate and help absorb oxygen. The hydrotron drains efficiently, has no nutritional effect on the plants, has neutral acidity and its round shape leaves enough open cavity to develop roots. This type of growth medium is especially suitable for flooding and draining systems, DWC and upper drip. 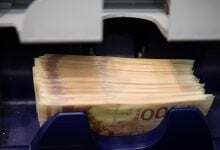 If you chose another system, it is better to choose a more suitable substrate. Mineral wool - an industrial growth platform that is very reminiscent of the familiar fiberglass (industrial glass fibers), but in fact was created (surprisingly) from rocks that were melted and stretched into thin, long fibers. 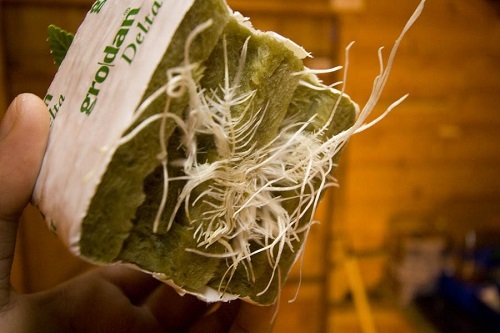 Mineral wool is excellent in soaking and holding water and is considered quite common, especially for germination (the first growth stage). Before use, the rock wool should be dipped in deep water with balanced acidity until it reaches maximum water, and then drained. After you do this you can plant / plant the plants. Mineral wool is especially suitable for sprouting platform systems for NFT systems, European systems, drip irrigation medium. Usage warning: In primary use, dust created from new rock wool can be harmful to health and it is highly recommended to use a mask and eye protection. A coconut bed - This is probably the most eco-friendly and environmentally friendly platform because it is made entirely of leftover coconut fibers that are removed from the coconut industry - an organic 100% substrate. Perlite - This is a volcanic rocky mineral that is heated above the 870 ° C and swells and pops like airy popcorn. The perlite is indicated as an additive with a traditional, hydrodynamic, or even single-breasted mixture. The advantage and disadvantage of the perlite stems from its wonderful drainage capacity, which in case of failure will cause rapid dehydration of the plant bed and plant roots. Like the rock wool, the dust that comes from dealing with perlite is not healthy for you Wear a mask before starting work. 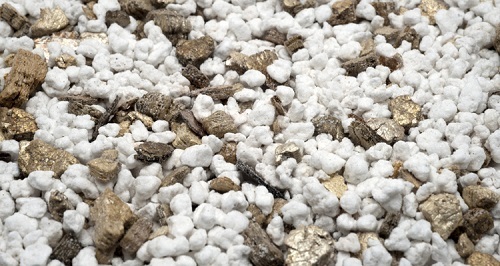 And Vermiculite Another type of mineral is a rock-cut mineral that expands when heated, but in contrast to perlite, its most prominent feature is its ability to absorb more moisture into it, making water available to plants over time (even in cases of malfunctions). This makes the combination of vermiculite and perlite perfect for the hydropower towers, but note that It is not recommended to use bormacolite alone Because excess water absorption by the growth medium can lead to rotting roots. the common opinion And wrong Is that when it rains that water our garden, it actually nourishes it. The reason for this mistake stems from the fact that rainwater has almost no real nutritional value for the plants and most of the minerals and micro elements necessary for their development are given to them by the soil and the organisms that live there. 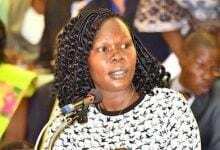 So what is the role of water? 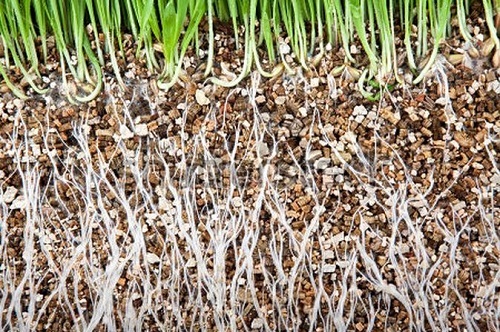 Well, the water serves as a means of transferring the necessary nutrition to the plant and makes the minerals and micro elements available to it, so they actually 'open' for the plant the possibility of enjoying the wealth of the soil through the roots. In addition, water provides the hydrogen element necessary for the development of plants. In essence, the bottom line for the quality of water you use for hydrodynamic growth is simple: all water, whether tap water, well water or rainwater, carries dissolved particles (metals, salts, minerals) in different relationships. 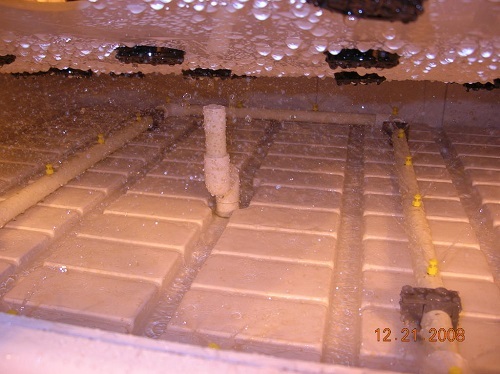 These dissolved particles leave less space in the water for the fertilizer particles, and may cause the loss of plants at best and mortality at worst - so hydroponic growth will use as few of these particles as possible, with the possibility of investing more and purchasing In distilled water. The nutrients we give to plants are in fact essential elements that the plant needs to live. Just as our diet contains proteins, carbohydrates, vitamins, amino acids, etc., plants need nitrogen, potassium, phosphorus, calcium, etc. to carry out the development process from growth to fruit. Carbon, oxygen and hydrogen are consumed by the plant Through air and water, But all the other essential elements we must provide to plants using Hydroponic fertilizers That together with water, production Feed solution Healthy for plants. A high quality hydroponic fertilizer contains all the nutrient needs of the plants and leaves no residue of salts at the bottom of the reservoir. Therefore, it is important to use the highest quality fertilizers (and unfortunately, the most expensive ones) that you can find. The feed needed for growth. Micro Nutrition (N), molybdenum (mb), copper (Cu), silicon (zinc), chlorine (Cl), nickel (Ni) Si), cobalt (Co), sodium (Na), fluorine (F). 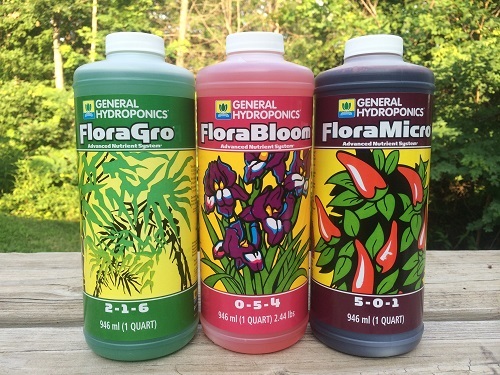 Usually the fertilizers will come in one, two or three bottles, which together make up the perfect formula for plant development. Providing a 'nutrition package' consisting of the above three groups will give the plant the opportunity to maximize its genetic potential. 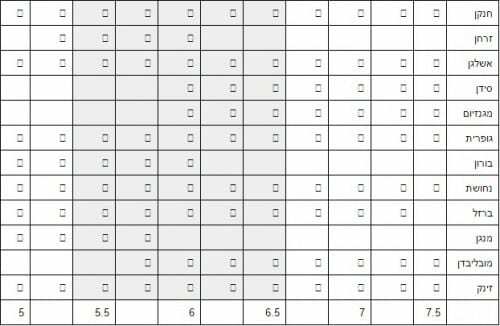 The following table lists the important nutrients Cannabis growth, Along with the recommended pH range in hydro-growth for efficient plant consumption. 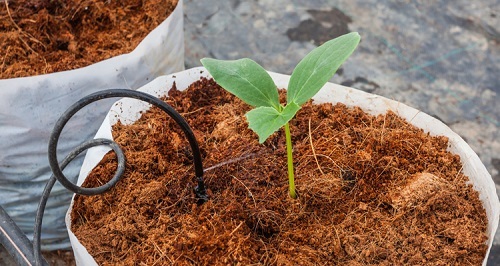 Since most of the growers purchase pre-prepared hydroponic fertilizers and do not recycle the elements themselves, there is no mention of the desired quantity from each of the elements and must be fertilized and maintained according to the manufacturer's instructions. How will we know how many dissolved particles there are in the water? Prior to fertilization, a number of tests should be performed to indicate the level of 'contamination' or dissolved substances in our water. For these tests we need to use dedicated measuring instruments to present the measurements on a small, comfortable LCD panel. These instruments (classified according to the measured values) can be purchased Hydroponic stores in Israel. TDS - Total Dissolved Solids - The total number of particles dissolved in water, which actually indicates the overall level of cleanliness of the water we use. In most measuring instruments sold on the market, the TDS is determined by the EC (conductivity) and converted to PPM (in parts per million), which in turn indicates the amount of dissolved particles (milligrams) per liter of water. By recognizing the initial TDS level in the water, we are able to measure how much fertilizer we must melt in water. For example, if the TDS test we did for our drinking water used for the tumor indicated 600PPM, and the hydroponic fertilizer we use recommends 1,200PPM concentration, we know that the second test done after fertilization should indicate 1,800PPM - not enough? Add more fertilizer and retest. PPM - Parts Per Million - This is the final unit of measurement (the most common in hydroponic crops) for water quality, which describes the total concentration of soluble substances per liter of water, whether soluble salts or other dissolved substances. DS - Dissolved Solids - a unit of measurement indicating the amount of soluble saline particles in water (fertilizers) relative to one million water particles (ppm). EC - Electric Conductivity - The level of electrical conductivity in water. Distilled water alone has no electrical value, and the more ions and particles in the water, the higher their conductivity, which also increases pH. Each mineral given to the plant has a slightly different electrical conductivity. The conversion to the PPM index is done using the formula of the EC index. Since the EC and PPM are not naturally connected, the PPM is actually less accurate than we would like, but it is also a vital tool in the hands of the hydroponic tower. PH Chemical value for measuring acidity / basic water. Water acidity actually determines the availability of minerals in water for plants. 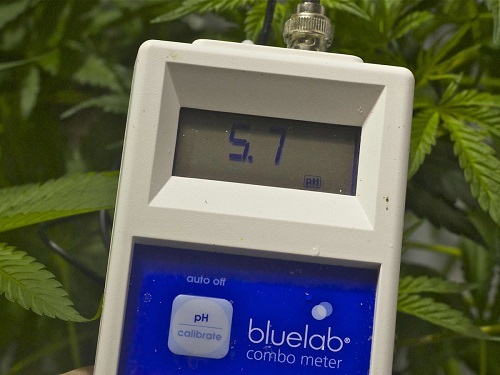 If we exceed the pH indices beyond the recommended, we may cause regular failure and poor nutrition of the plants. The general range of water acidity can range from 0 to 14, where 7 is neutral water, 7 is acidic water and 7 is the basic water. As a rule, The pH index is PH7. Apart from the tests performed before the first fertilization, it is recommended to measure and correct the PH On a regular basis once every day or two. Temperature - The water in our growth reservoir must be within the recommended temperature range to allow healthy plant nutrition. Exceeding the recommended range will result in the loss of plants and frequent acidity and conductivity changes. Our wonderful green nature is created to a large extent by the existence of the huge sun that hangs in the sky. The tremendous light it produces from a distance of 149.5 million km is sufficient to stimulate the plant world Photosynthesis process (Light conversion to food), which is a very important part in the development of chemical processes as it grows. In nature, the life cycle of cannabis begins at the end of winter / early spring, when The germination process And the entire growth takes between 3 and 5 months. The growth stage is possible when the days are over Longer than the nights During which the cannabis grows high, sending branches and "satellite leaves" in order to obtain maximal exposure to the sun. After June, With the nights getting longer and the days shorter, The plant begins the flowering phase, and after two weeks it is possible to distinguish the flower groups in the area of ​​the joints of the branches and leaves. For the growers outside, the free and strong sun will transfer the plant all the desired chemical process, from sprouting to flowering. 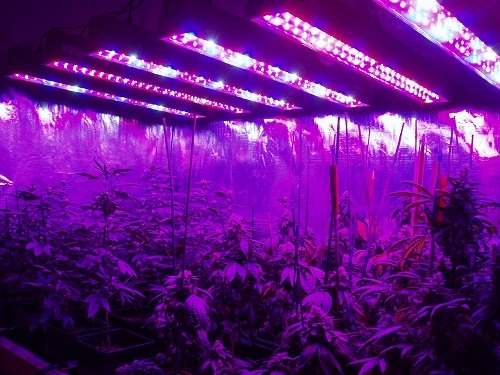 Home growers will have to contrast Custom growth lamps To artificially complete the light. The light that the human eye sees as white light is actually composed of different colors In different spectra And different temperatures, when plants need and use only part of the full spectrum of light. The main part used by the plants is the 'absorption range' of the light waves that reach it and are measured inNanometers. This absorption range is actually made up of different wavelengths whose radiation encourages photosynthesis in vitro, and is also called photosynthetically active radiation, or PAR. We know that the average PAR for plant growth is between 400-700 Nanometers, When some scientists disagree with this "mainstream" determination and seek to expand the range of light waves to350-750 Nanometers. The most important color in the spectrum to maximize the production of chlorophyll in the plant and the process of photosynthesis is in the range of red and blue. 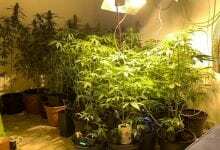 Today, the market offers various types of growth lamps and various capacities suitable for growing cannabis. In the designated lighting market, each lamp has the advantages, disadvantages and characteristics that characterize it. Each of the topics mentioned in the manual is a complete world, and you can dig and dig in each of them for many months to complete understanding and control, but even if you do not do so, the hydroponic system is so easy to understand and operate that it is enough to understand the general principle and comply with the fertilizer and maintenance instructions of the fertilizer companies Hydroponics to get good results. With time and experience, the dedicated hydroponic tower is gaining confidence and knowledge that helps it to maximize the growth and maximize results. If you are looking for specific help, you may want to consult with Growth experts in the forum.